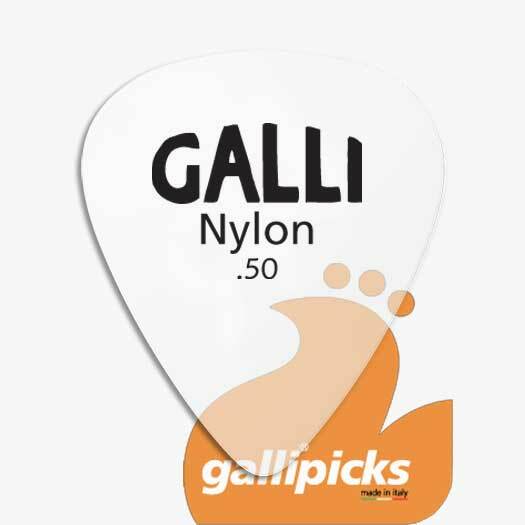 Guitar pick made of nylon. The flexible material nylon provides an incomparable brightness and softness. Ideal for acustic instruments. Made in Italy.